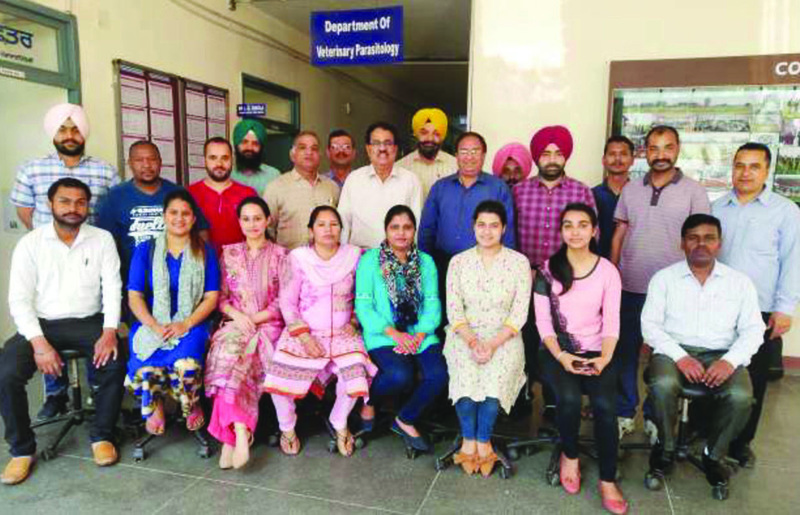 The Guest Adjunct Faculty Programme was organized in the Department of Veterinary Parasitology, Guru Angad Dev Veterinary and Animal Sciences University, Ludhiana during March 25–31, 2019. Dr. J.R. Rao, Former Emeritus Scientist, NAARM, Hyderabad & Head of Division, Division of Parasitology, IVRI, Izatnagar, was identified as the resource person for this programme. Dr. L.D. Singla, Professor and Head of department informed that programme was in the form of expert lectures and interactive sessions planned and executed on intellectual property management, technology commercialization, patent landscape in immunobiologicals of infectious diseases and immuno-biotechnological tools in early diagnosis of parasitic infections. Dr. Rao was of the view that concerted efforts should be made to demystify Intellectual Property (IP), create public awareness and promote IP literacy, culture and IP audit. He discussed the details on basic features of Intellectual Property Rights (IPR), importance of IP and its management in animal sciences, knowledge economy and commercialization along with process of technology transfer. 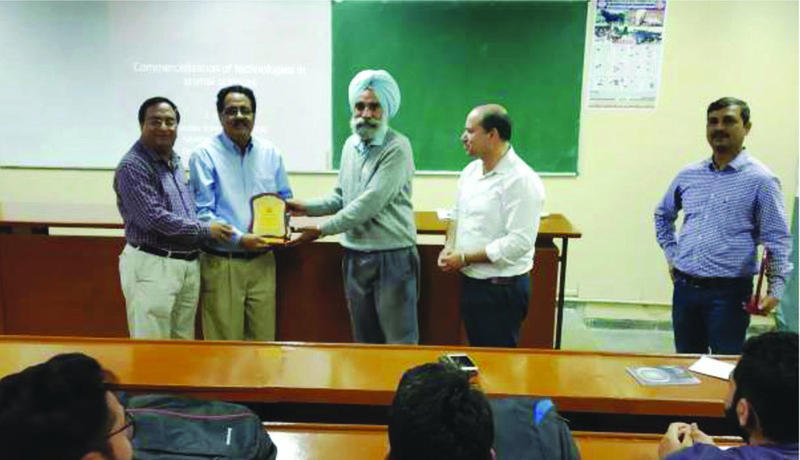 Professor Rao had interaction with the faculty, support research staff and students of the department on the academic and research programmes at the university. Discussions were made on parasitic disease diagnostics & vaccines. Dr. Rao also provided an overview of the need for improvement of capability to disease diagnosis, classical and evolutionary parasitology, sensitivity of various immunologic tests employed for diagnosis of parasitic diseases, summary of haemoparasitic diagnostics, World Organisation for Animal Health (OIE) approved list of diagnostic tests for international trade, molecular tools to discern parasites, parasite detection kits, vector identification & detection, scientific elements of parasite vaccine development, commercially available parasite vaccines and integrated control of vector & parasites. Dr. Parkash Singh Brar, Dean College of Veterinary Science shared the information that commercialization of IPR enabled technologies and other know-how, through public private partnership would lead to their accelerated and efficient transfer. Dr. S.K. 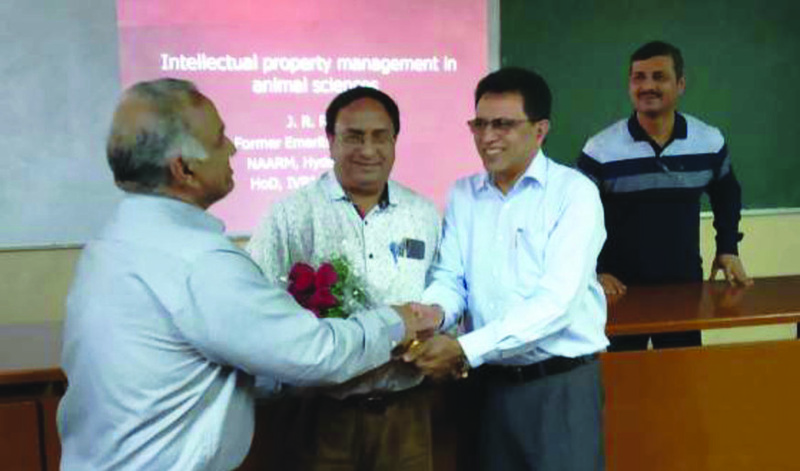 Uppal, Dean Postgraduate Studies reiterated about the role of intellectual property management in the field of animal sciences and highlighted the need and scope of teaching of IPR to the postgraduate students in the university. Dr. L.D. Singla informed that expert advice provided by Dr. Rao in the field of molecular diagnostics of parasitic diseases will be of great help to faculty members and post graduate students of department in enhancing their professional competence.